Play these Flash or HTML5 based online slot machine games provided by Playtech at Top Free Slots. No download required to play the games - just click on the image and wait for the game to be loaded in your browser window. You can play all these Playtech Slots for free or try your luck for real money at sponsored online casinos. You can play classic slots or 5 reel video slots with multiple lines of payout, exciting bonus features, and wild and scatter symbols to increase your winning potential. 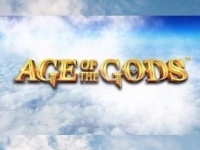 rr Free Age of the Gods slot game, developed by the Playtech software firm, focuses on the Ancient Greek mythology. This slot machine from the latest franchise provides players a visually fantastic overview of the old mythology..
Great Blue is a 5-reel 25-line video slot machine game featuring exciting Bonus Round, highly-rewarding Free Spins, Skill Stop and Gamble Features, plus you'll find wild multiplier Orca and scatter Clamshell symbols. 3..
Football Rules is a 5 reel, 25 payline and 250 coin slot machine game with cool Football theme, animated graphics, Wild and Scatter symbols, free spin style Bonus round and optional Dollar Ball Lotto sidegame. Win up to..
Streak of Luck is a new 50 payline slot machine game created by Playtech. Slots's main theme: Irish. 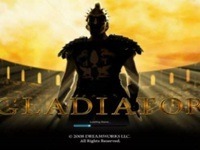 Gladiator is a popular 25 payline slot machine game with great graphics, ambient sound and winning opportunities through wilds and scatters, and 2 bonus rounds with free spins. The game is based on the popular movie..
Get ready to play the best new holiday game on the market! Halloween Fortune have been launched by Playtech to the 2011 Halloween season and it's bound to be a big hit! With its Gamble option allowing you to double your..
With Cat in Vegas slot, you just need to spin a wheel and to help a kitty who came to Las Vegas to have some fun. This 5-reel, 20-payline Playtech's slot game was made with the city of gambling in theme. Cat in Vegas.. Cops And Bandits is one of a few 30-line Slots developed by Playtech with a great theme and a number of winning opportunities including Line-Up Bonus Round and Free Spins. Get 3 or more Scatter symbols in any position..
Red Crystals in the Alchemist's Spell will turn stones into gold and prize coins for you. Hit 3 or more Crystals to win up to 20 Free Spins where 3 types of Wild Bullions can bring you up to 30x multiplier on your bonus..
Lotto Madness is a 5 reel, 20 payline slot machine game with Wild and Scatter opportunities, bonus round and lotto-style sidegame with Dollar Ball progressive jackpot. In the Bonus Game you'll spin the "Crazy Wheel" to..
Cat Queen is an Ancient Egypt themed, 40-line slot game with the Wild Queen, the Scatter Pyramid, "Double" Gamble feature and 15 Free Spins. Egyptian symbols with the Cat Queen on top will bring you the biggest wins on..
Deal or no Deal World is a serie of 5 reel, 20 payline slot machine games based on the popular TV show! The bonus features captures all the drama and excitement of the show and can bring you the progressive jackpot.. This is a new 25 payline slot machine game created by Playtech. rr Free online Gladiator Jackpot slot machine is based on the popular hit movie Gladiator that stars Russel Crowe as General Maximus. After..
Monty Python's Spamalot is a popular 20-payline Video Slot featuring King Arthur and his Knights in search of Holy Grail. This funny slot has a bunch of bonus features and free spins. Collect 5 "The Jackpot Game" icons.. Spin 2 Million $ is a New Generation, non-progressive, 5 reel and 20 payline video slot machine with 3 Scatter symbols, bonus feature and huge jackpot of up to 400,000 coins a spin. That's right! This entertaining slot..
Set out on a great adventure around the pyramid of Ramesses and slot machine like an Egyptian. Earn up to 15 free spins and experience even bigger wins with expanding wilds in this mummifying slot game! The Pyramid of..
Find undersea treasures of beautiful mermaids. Two bonus rounds and exciting free spins will add a lot of coins to your bankroll. Spin the reel of this brand-new 20-line video slot - try our free demo. Esmeralda is a hot 25-payline slot game with wilds and scatters, awesome free spins, and a progressive jackpot. Collect red roses on the reels to activate up to 70 free spins. Beautiful Esmeralda will deliver the..
Golden Games is Olympics themed, 5 reel and 25 payline slot machine with Wild and Scatter symbols, re-triggerable Free Spins, Skill Stop Feature, and Gamble feature. Spin the reels of this great slot and win highest..
New Iron Man 3 Slot is a hit at Playtech online casinos! Based on the blockbuster Hollywood film, Iron Man 3 brings you all the action and adventure you need in a flash! Tony Stark is forced to build an armored suit.. Plenty O' Fortune is a new Playtech slot machine with a popular 20-payline format and Irish Luck theme. 3 Bonus symbols of the game: the Leprechaun, the Wishing Well, and the Pot Of Gold will trigger the bonus features..
Top Trumps World Football Stars 2014 slot has released by Playtech to The World Football Championship 2014 in Brazil. This 15-payline game has a wild and scatter symbols, Hall of Champions Bonus round, Gamble Feature..
Top Trumps Football Legends is a Football-themed 5 reel, 15 payline slot machine game of the Playtech's Novel Slots series with wild and scatter symbols, Wall Of Fame Bonus round, gamble option and free spins bonus..
Playtech's Ice Run slot machine was made on the basis of an animated film "Ice Age". 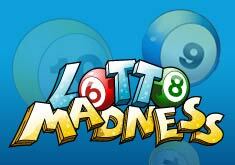 The game consists of 5 reels and 25 paylines, wild & scatter symbols, bonus rounds, and free spins. Themed Bonus symbol activates the..
John Wayne is a new and very popular 25-payline video slot machine game with Wild West theme, Wild symbol, The Duke's Badge and John Wayne's Ranch Bonus Features and Free Spins. Verious Bonus symbols and Badges will.. The Three Musketeers is a new 50-payline slot game with stacked Wilds, 3 scatter Musketeers, re-spins, Free Spins, and the Queen's Diamond Bonus. The surprises and bonuses appear on every spin and the free spins seems..
Meet characters of the popular Baywatch TV Series on the reels of new feature-rich slot machine developed by Playtech: C. J. Parker (Pamela Anderson), Caroline Holden (Yasmine Bleeth), Matt Brody (David Charvet) and..
Powered by Playtech, this slot machine is set in the tropical jungle with brilliant games feature that let you get 50 free spins and up to 50x multiplier. This game focuses on the animals living in the Amazon jungle and..
Tony and the gang are here to bring in the Big Bucks. Take a walk on the wild side with free spins and 3 different bonuses that bring you one step closer to that big score you've been waiting for. Choose between.. Play 3 Clowns Scratch Card and get ready to be transported back to your childhood with this fun and vibrant game. Each time you play 3 Clowns, you'll practically smell the popcorn and candy-floss as you scratch off..
Angel or Devil is a 20-payline slot machine game with a light-hearted Heaven and Hell theme. The slot features a Free Spins bonus and an in reel ‘Lightning Bonus’ which can trigger the progressive jackpot if you have..
Blade 50 Lines is the new version of the popular Marvel Hero themed slot game with increased number of paylines and winning opportunities. The game features Free Spins with an Extra Wild, Progressive Jackpots and Wild..
Football Carnival transports you to Brazil, Rio de Janeiro where The World Football Chanpionship 2014 is just started. This is a new 50-payline slot game with wild and scatter balls, 6 Stacked symbols, free spins with..
Are you ready to win a Ho-Ho-Whole Lot of Cash$$? Then don't miss new Playtech's Christmas-themed slot machine game Santa Surprise! Santa Surprise is a 5-reel, 20-line video slot with a fantastic top prize of 10,000x..
Take a journey back to Arabian times and become part of the Sultan's life of luxury and fun. Enter into the golden chamber and you'll find yourself in a whirlwind of free spins with a mystery scatter. Rich colors.. Prepare yourself for an epic battle on the reels starring marvel’s greatest superhero team. Captain America, Iron Man, Thor, The Hulk, Black Widow and Hawkeye, led by Nick Fury, have assembled to protect the earth..
White King is a new Playtech's online slot machine with exhilarating and cutting-edge technology features, hosting 5 reels, 40 paylines, and 12 paying symbols. White King scatter appears on the reels 2, 3 and 4 only..
Action Heroes is a 40 payline slot machine game created by Playtech. rr Let's Have Fun! Action Heroes, run by Playtech soft, is a fantastic wheel of fortune, which boasts classic comic book appearance and.. This is a 1024 ways to win online slot machine from Playtech. rr The Flinstones is an online slot machine game developed by PlayTech. It is played on 5 reels and 4 rows, with 13 icons. 2 of them are.. The Incredible Hulk 50 lines slots game is a 50 payline slot game with 3 bonus rounds based on the famed Marvel comic action hero. Line up helicopters, police cars, or the Hulk himself to win big in the Hulk Smash Bonus..
Ice Hockey is 15 line video slot game with Ice Hockey theme, unique left to right and right to left team pay feature, free spins and a Pass the Puck Bonus round. Choose your teams and play this exciting slots game - hit.. Featuring big cash, the coolest cats and the foxiest ladies, the Love Boat is a 25-line slot machine with free spins, wilds and scatters, and weekly Jackpot Raffle where you can win a fixed jackpot of € 10,000. This new 5 reel and 50 payline video slot is sure to keep you entertained as you try your chances winning one of the 4 progressive jackpots. If you're looking for some superhero action, then you'll love this Marvel slot..
Meet Benchwarmer Football Girls in a new 5-reel and 30-payline slot machine featuring free games with a Benchwarmer feature and "Football Bonus!" round. These girls could bring you some luck and fun… and infinite number.. Hot Gems is a new mining themed slot machine with 25 paylines, highly-rewarding free spins and Collapsing Reels feature. Spin various gems to win up to 5,000 coins on a line. Some gems will explode to create even more..
Thor is the mythic Norse god of Thunder. His massive hammer creates bolts of lightning when there is a storm. This Marvel-themed slot machine carries amazing graphics, great sound and a bunch of bonus features -.. Daring Dave & The Eye of Ra is the newest slot game from Playtech. Open the world of Egyptian pyramids and pharaohs while picking up cash prizes in the 3-level Quest for the Eye of Ra. Help Daring Dave move stones and.. Ghosts of Christmas is a new Playtech slot game with wild and scatter ghost symbols, bonus round and Marley's free spins. 3 or more Bonus Clocks on an active payline activate the Ghosts of Christmas Bonus game. 3 or..
Kong - The 8th Wonder Of The World is a 5 reel, 20 payline slot machine game featuring King Kong and offering various winning opportunities through expanded & sticky wild respins, wild & scatter symbols, Jungle & Big..
Feel the excitement building as the Wolf chases down the cash in the Blow the House Down Bonus Round and uses his motor bike to win you more cash prizes by doing the Huff N' Puff Shuffle. Are you ready to get wild? Try..
Rocky is a great 5 reel, 25 payline slot machine game from Playtech with a lot of action and plenty of big prizes on the reels, Free Games style bonus (win up to 25 free spins with a 2X multiplier) and top jackpot of..
Sunset Beach is actuatlly four 5-Reel 20-line slot machines in one! The reels of all four machines start spinning at the same time and stop one after the other. Brune, Redhead and Blonde girls appear stacked on the.. Play this 5-reel, 25-payline video slot machine game with Cartoon Wild Nature theme, 3 different scatter symbols and large number of winning combinations - 40! The Wild Logo symbol can stand for any other symbol, except..
Elektra is a 5 reel, 20 payline, action-packed slot machine game with great free spins, expanding wilds, scatters, Choose Your Weapon Bonus feature and 4 Marvel Mystery progressive jackpots. Play this instant version..
Fortune Hill is a magical 25-line video slot with Fortune Wheel of Bonuses, Rainbow Free Games, and 4 other different features. Magic Wands, Raibows, Money Bags, Wondrous Wizards, Bonus Mushrooms and Fairies - all of.. Embrace wolverine's wild side as he is stacked wild on the reels during main game and free spins! Wolverine goes berserk when the berserker rage symbol appears on reel 5, leaping out of the reels to distribute wilds.. This is an Aces & Faces video poker version where you can play 4 hands at a time. First, you draw 5-card hand, then hold some of the cards and click to draw other cards of your 4 hands. The payout table gives you the..
Blade is a new 5 reel and 20 pay-line video slot machine game with huge 25,000 coin top payout, free spins bonus round, Blade Split feature and 4 Marvel Mystery progressive jackpots. Win up to 15 free spins with the.. Capture the essence of what it is to be a true die hard football fan in this awesome online slot game. Complete with every kind of football fan imaginable, grab a glass of beer and start penalty kicking your way to..
Frankie Dettori's Magic Seven is a horse racing themed 5 reel, 25 line slot machine game with wild and scatter symbols, Free Games Race feature, Magic Seven Bonus round and Gamble option. Win up to incredible 35 free..
Marilyn Monroe is a new, show-stopping 20-payline slots game that has many great features you are sure to enjoy. When 2 or 3 wild Marilyns appear on one reel to form a winning combination, Marilyn expands on the reels.. The Mummy is a new movie-themed 5-reel, 25-line video slot with wild and 2 scatter symbols, free spins and 6 various bonus features. Unlock different bonus opportunities as you progress in the game. "The Mummy Returns"..
White Knight is a 5-reel, 3-row online casino slot machine developed by wizards from Inspired Gaming. This game has 20 fixed paylines and the theme that takes you to medieval times of heroic knights in shiny armors.. This is a new 20 payline slot machine developed by Playtech. Slots's main theme: Arctic, Penguins. Play the new 25-payline Battle of the Gods online slots and let the Gods bring you titanic wins or Titans uncover the treasures of the Ancient Greek Gods! The game features Scatters, Wilds, 2 Mode Free Games with Extra..
Dolphin Cash is a new 30-payline slot game with unique Xtra Win feature, Shifting Wild symbol, Bonus round and free spins galore. Collect 2 bonus symbols on reels 1 and 5 and let Dolphine jump and catch coins for you. The Incredible Hulk is a new 5 reel, 25 pay-line slot machine game that features Marvel character Hulk and offers awesome winning opportunities due to expanding wilds and scatters, Smash Bonus round, free spins and.. Play The Jazz Club - new slot game and start grooving to your favorite blues, swing, and ragtime tunes. With a maximum prize of 5,000 times your line bet, pretty groovy features, plenty of free games and a neat bonus.. This is a new 20 payline slot machine developed by Playtech. Slots's main theme: Money. Rub elbows with the hottest celebrities of all time from classic idols like Elvis Presley to more contemporary stars like Britney Spears and Brad Pitt. Let the stardust give you the winning edge as you spin the reels of..
Good evening ladies & welcome to the free Chippendales slot! Male strippers and dancers will heat up all your online betting on this Playtech's game. The slot machine has 5 reels and 20 paylines. Winning symbols are a..
Live the fantasy as this slot blazes with big wins up to 25,000 times your line bet in the base game plus even more with magic Free Spin multipliers! Dragon Kingdom is the 20-payline exciting slot machine that takes you.. Spin the reels of the Ghost Rider slot and hear the roar of his motorcycle as you ride off into the night with this blazing hero! Come face to face with flaming ghosts in an exciting bonus round and burn up those reels..
Land Of Gold is a new 576 ways to win online slot machine from Playtech. rr Another latest release from Playtech: Land ofÂ GoldÂ gaming machine. This innovative creation has 576 winning way and 5 drums. There are..
Sherlock Mystery is a new 20-line video slot game with wilds and scatters, Crime Scene Bonus, Sherlock Meets Watson Feature and exciting Free Spins. Help detective Sherlock Holmes finding the criminal and collect cash..
25-Line Aces and Faces is a new Playtech video poker game where you can play 25 hands at a time and test your skill and strategy, and win big. High cards pays well in this game, see payouts table to learn more. Royal.. This is a 15 payline online slot machine from Playtech. rr A Brilliantly Designed Classic Game That You Should Certainly Try Powered by the prominent software development company-Playtech, this.. Try out this Deuces Wild video poker version where you can play up to 4 hands at a time. Bet max 5 coins to get the best odds and have a chance to win top regular jackpot of 4,000 coins with Natural Royal Flush. "Four.. This is a 20 payline slot machine game created by Playtech. rr Prepare to Be Transported to a Magical Frozen Land! Fond of real money games and want to win big? Then you simply cannot pass by this..
Dr. Lovemore is a popular 5 reel, 20 payline video slot game with 39 winning combinations, plus wild, scatter and bonus free spins opportunities. 5 Wildcards win highest 10,000 coins jackpot. Scattee wins. If Bonus..
Take a day trip to the funky fruits farm! Ride the wagon to the barn for the funky fruits bonus, where fruits explode to reveal free games and multipliers. Get ready to plough the field for incredible wins! Jurassic Island is a 25 payline slot machine game created by Playtech. rr Jurassic Island is the 5-reel video slot where modern-age man meets primeval beast, which is packed with bonus features, all with..
Only an industry leader like Playtech could come up with a completely unique idea used by Mr. Cashback. With this revolutionary new slots game you can even win on non-paying lines! In his generous style, Mr. Cashback..
Pyramid of Ramesses is a new 25 payline slot machine developed by Playtech. rr The Pyramid of Ramesses slot machine is made by PlayTech, and is named after the Ramses pyramid, and therefore all the symbols in the.. This is a new 40 payline slot machine game created by Playtech. rr The White Lion slot machine is an online gamble made by PlayTech and inspired by the king of the animal kingdom, a big White Lion. It is.. Enjoy the party, exotic drinks, and beautiful girls - all night long. The slot has great theme and 20 lines of payout together with wild and scatter symbols and a bonus feature round. Play A Night Out video slot now to..
Captain's Treasure is a 5 reel, 9 payline video slot that can deliver large regular jackpot of 5,000 coins on a single spin. The game has 35 winning combos and wilds and scatters to provide exciting online gambling..
Easter Surprise is a new 5 reel and 20 payline video slot machine featuring great holiday theme and offering various winning opportunities through wild & scatter symbols, free spins, Easter Egg Bonus round and much.. This is a new 20 payline online slot machine from Playtech. rr Fei Cui Gong Zhu slot game has an oriental theme and is played online created by Playtech, and this compliments Nian Nian You Yu, along..
Goddess of Life is a new slots game that will help you to discover your roots and connect you with the magic elements. 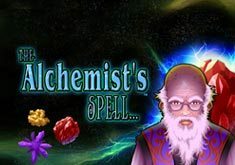 You'll search for crystals that will bring you cash prizes and re-triggerable free games. Activate..
Activate all 5 reels and enjoy 1,024 possible winning combinations on this unique slot machine. Lucky Panda has some unique features and re-triggerable free spins to boost your winnings and get luck on your side. Play..
Take a flight and soar to victory in the new online slot game where the sky is the limit. With a maximum prize of 5,000 coins, Xtra Win mode and Medal Of Honour Bonus where you can win up to 100 free spins, the Wings..
Amazon Wild is a new 5-Reel, 100-payline slot machine with expanding Wild and Scatter symbols, and the Amazon Treasure Bonus game. The slot is always played with all 100 fixed paylines and offers top jackpot of 2,000x..
Desert Treasure II is a new version of the Playtech's original Desert Treasure slot machine that now offers 20 paylines, 10,000 coin top jackpot and 3 bonus stages where you'll collect awesome cash prizes. The treasure..